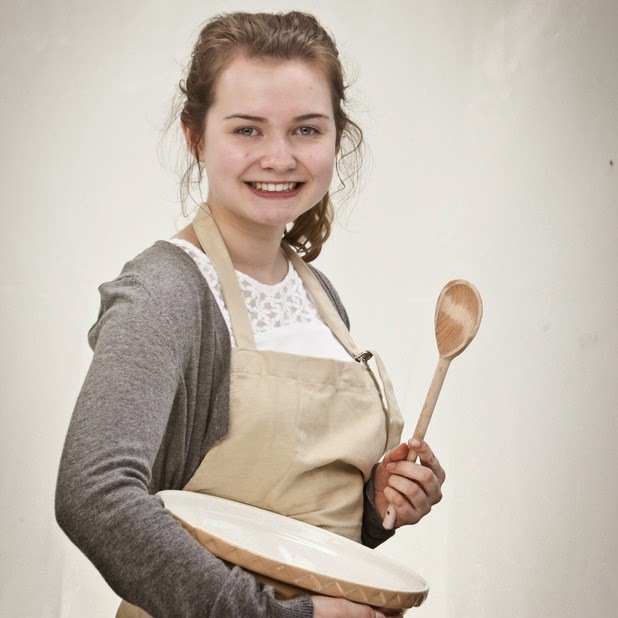 We’re at the quarter finals now and the challenges are getting more difficult to really test the bakers. This week’s theme was advanced dough and for the first challenge the bakers had to make a sweet fruit loaf with an enriched dough. They could use any filling or flavour they wanted, the only rule was that no tins were allowed. The loaves had to be free form. Paul told us that enriched dough benefits from a slow prove as the butter, eggs and sugar that are added to the dough slows the yeast down. Nancy hurried up here proving time by microwaving her dough. Paul was concerned about her doing this, but she had practised it at home with success. 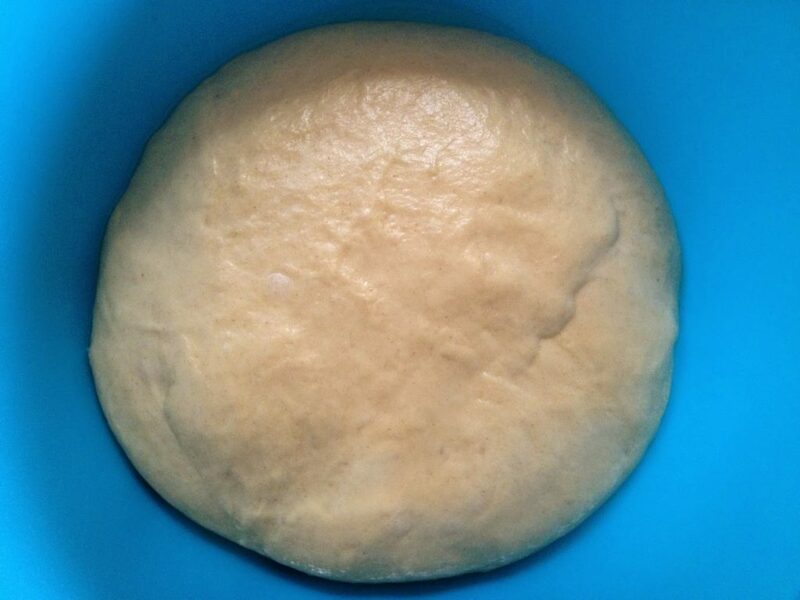 The dough certainly rose and her loaf was absolutely massive! It turned out ok, but was slightly underbaked. 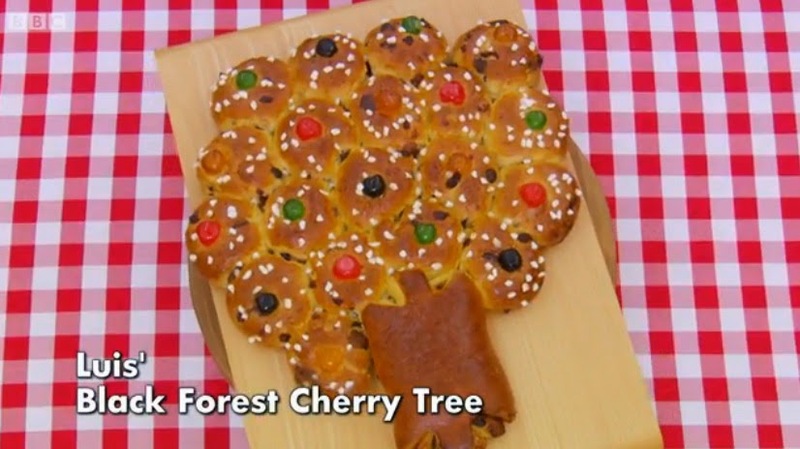 Luis added a cherry brandy soaked sugar cube to the middle of each of his fruit buns, which he used to make a tree shaped loaf.The judges thought it looked spectacular and it was also baked very well. 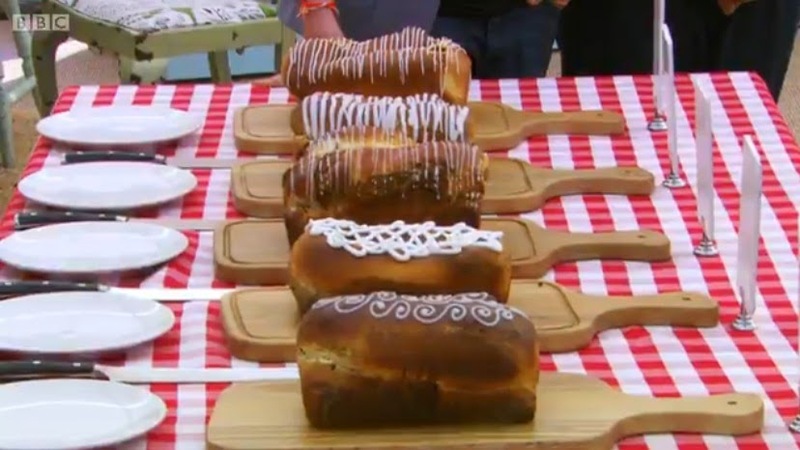 Paul Hollywood was on form and stalked the bakers as they decorated their loaves, provoking many shaky hands no doubt! Martha’s Spiced Plum loaf was a little underbaked, but the judges liked the flavour. Chetna made a Date & Walnut loaf which Paul thought had too much cinnamon in, but looked good and was baked well. Richard did very well and the judges had nothing bad to say! 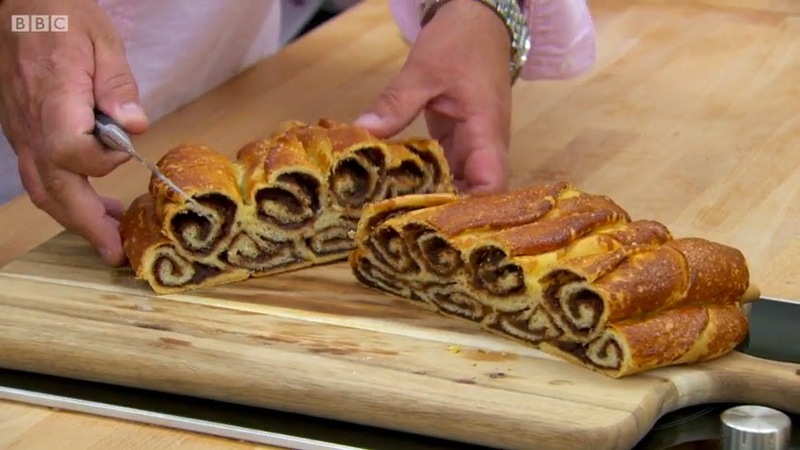 The technical bake this week was Povitica, a Croatian swirled bread. 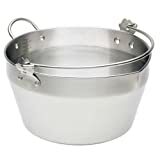 Exactly what Chetna made in the first challenge, except shaped slightly differently. She was certainly pleased! 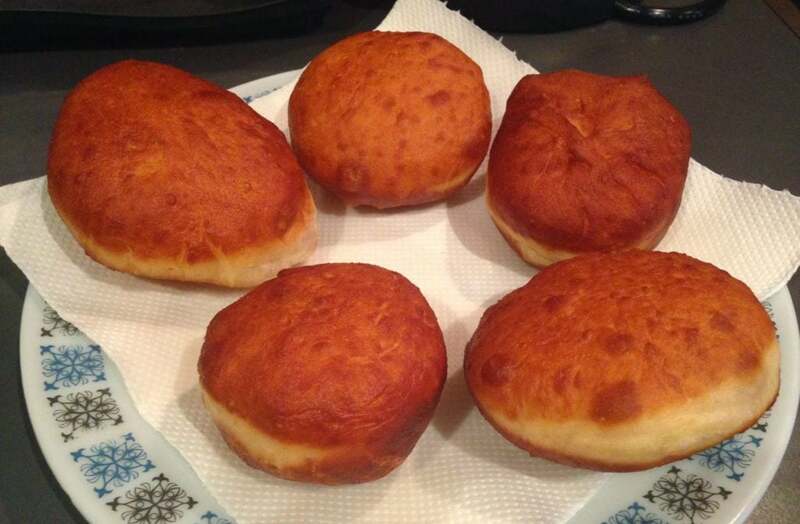 It is an Eastern European cross between a bread and a pastry. All the other bakers immediately started wracking their brains trying to remember what Chetna did in the morning! Nancy was back to the microwave again to make the filling more pliable for spreading onto the dough, and Richard was right behind her copying the technique! Or as he called it ‘learning by looking’! 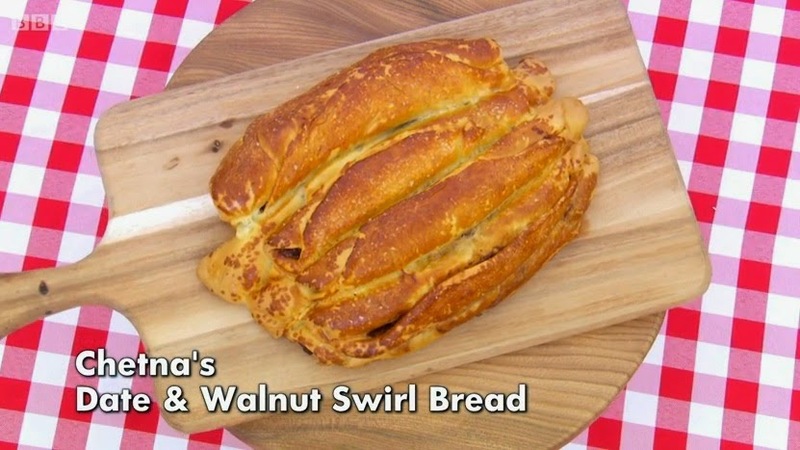 Chetna knew how long to prove and bake the dough for which was key to the recipe. Of course that information was not included in the recipe provided so she certainly had an advantage. 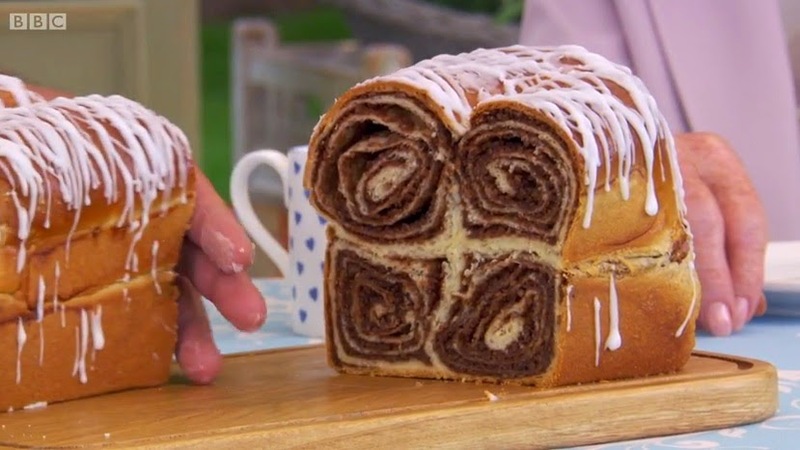 I’m surprised they kept the challenge the same to be honest, as they obviously know what the bakers are going to make for the signature in advance. She came first, of course, Luis came second and Nancy third. Martha was fifth and Richard fourth. 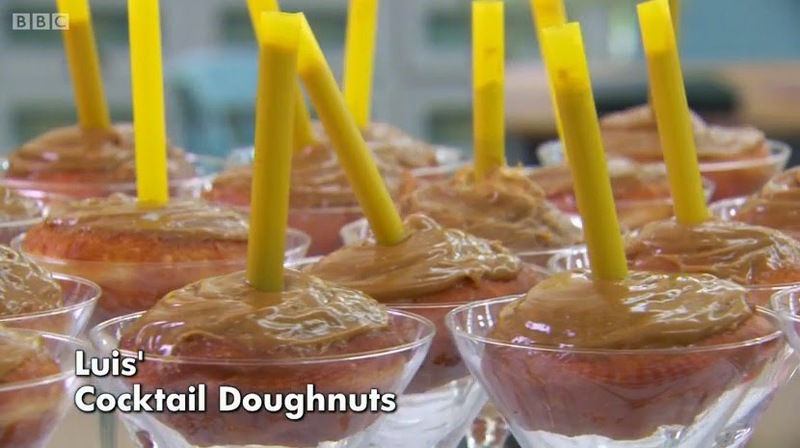 One of my favourite showstoppers ever was this week – donuts! 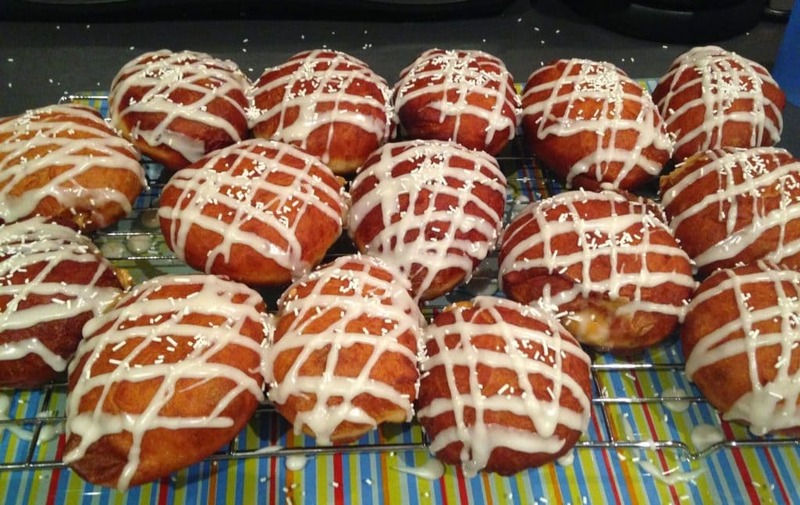 Who doesn’t like these delicious, deep fried, jam filled treats?! I’ve never wished so hard to be the chief taste tester in the tent. The bakers had to make two different types of donuts. 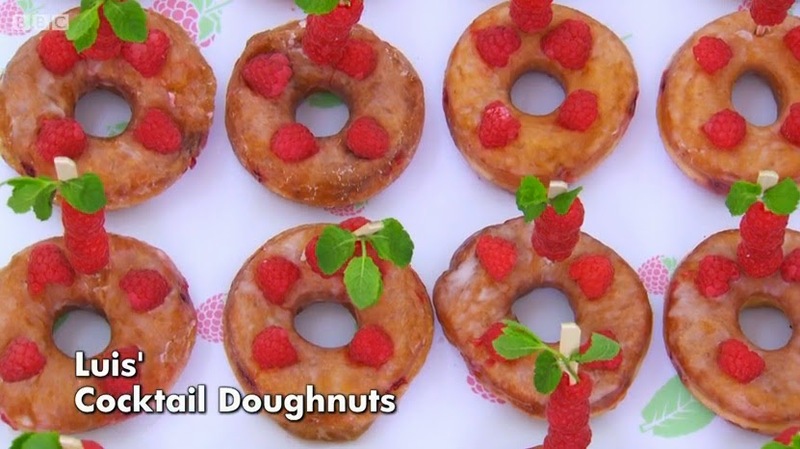 I was so impressed with Luis’ Raspberry Mojito and Mudslide Donuts. Baileys is one of my favourite liquors and I would’ve taken care of most of these! Chetna made a South African inspired braided donut called a Koeksister which has potato in the dough. 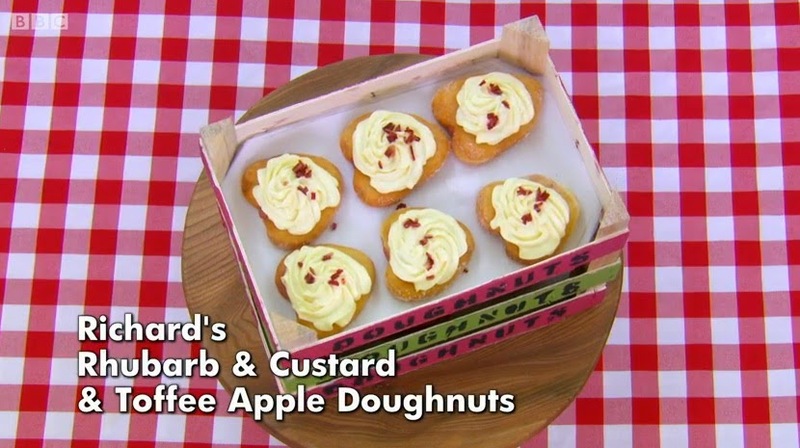 Richard went for heart shaped Rhubarb & Custard Donuts and Toffee Apple Donuts, which the judges loved and Paul called ‘professional’. 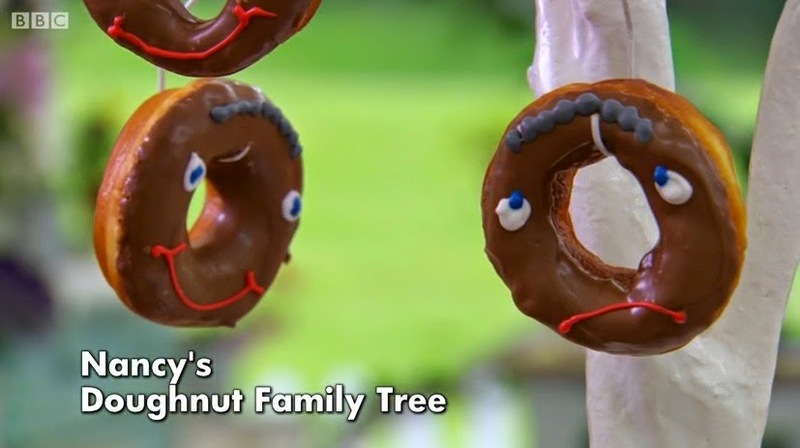 Nancy made half her donuts for adults by flavouring them with Limoncello, and the other half for children by decorating them with a familiar face. They were slightly irregular in terms of colour and a little dry, but had great flavour. Martha accidentally overproved her Passionfruit Curd Donuts which meant the were quite flat instead of puffed up. Martha left the competition this week after coming last in the technical and overproving her showstopper. The level of baking talent and knowledge she has for a young girl is very impressive, and I think she will do well after the programme. 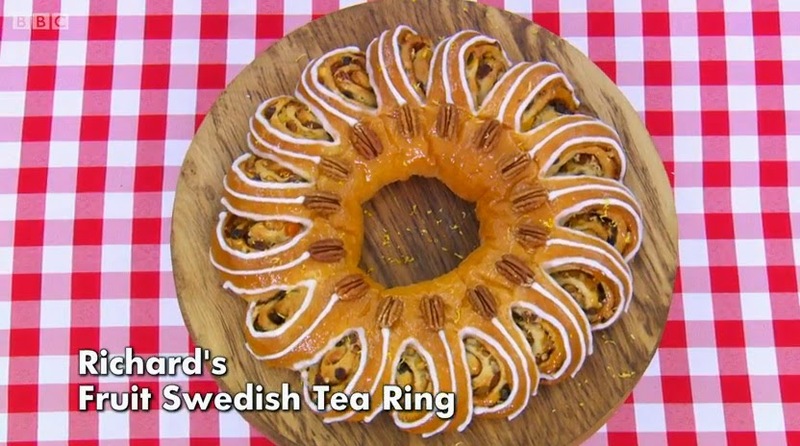 Richard broke a record by becoming star baker for the fourth time! This week I decided to make these golden deep fried Pumpkin Custard Donuts. I’ve made baked donuts before, but never the fried kind so I had to give it a go. They are a lot more involved and do take more time to make, but believe me the results are worth it! I started with the pumpkin custard first. 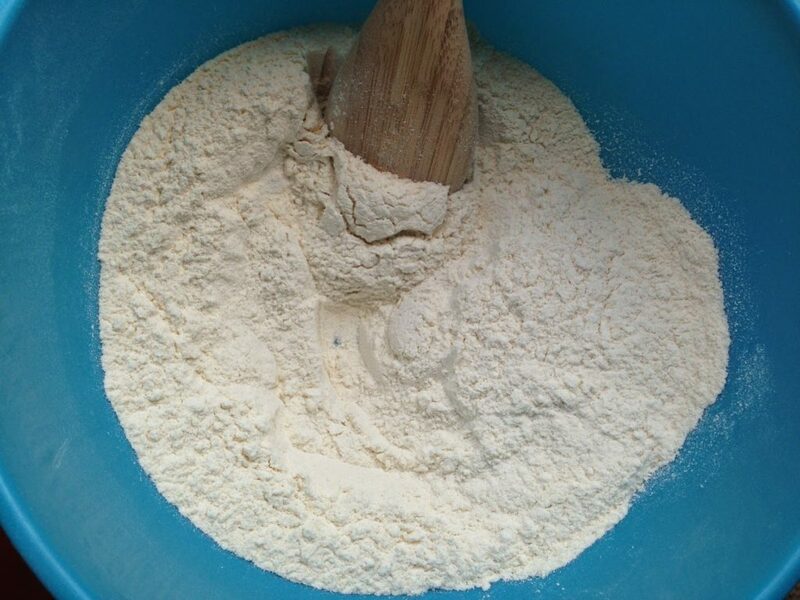 In a bowl I weighed out granulated sugar, plain flour, cornflour, cinnamon, nutmeg and all spice. 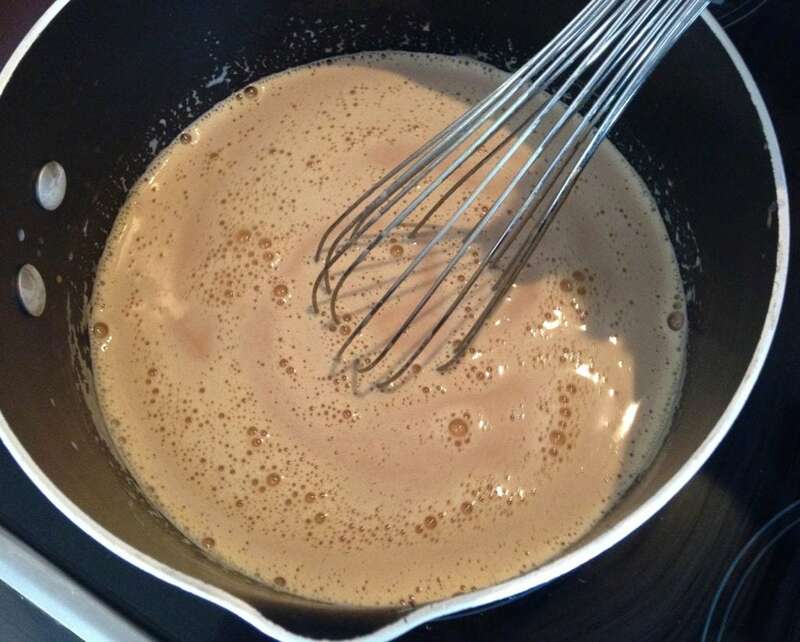 In a pan I warmed whole milk and vanilla extract until it steamed. 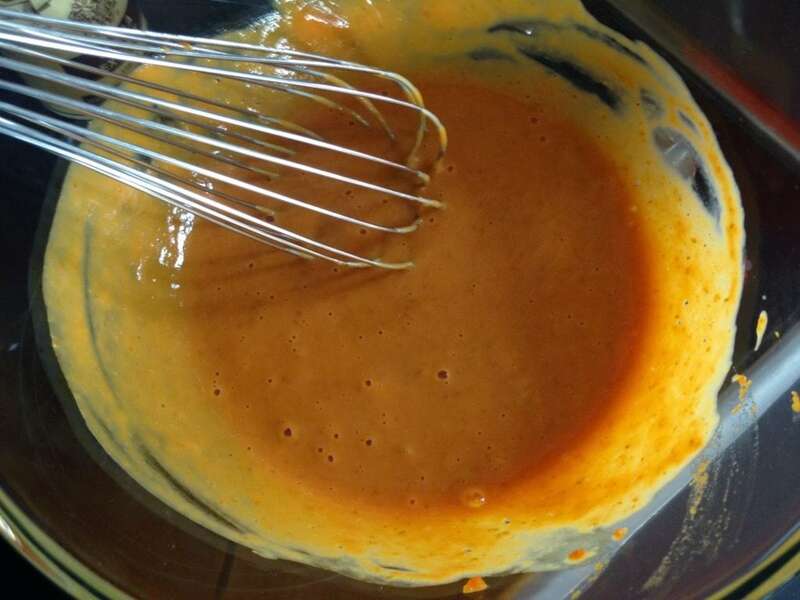 Whilst it was heating I whisked up egg yolks and pumpkin puree. 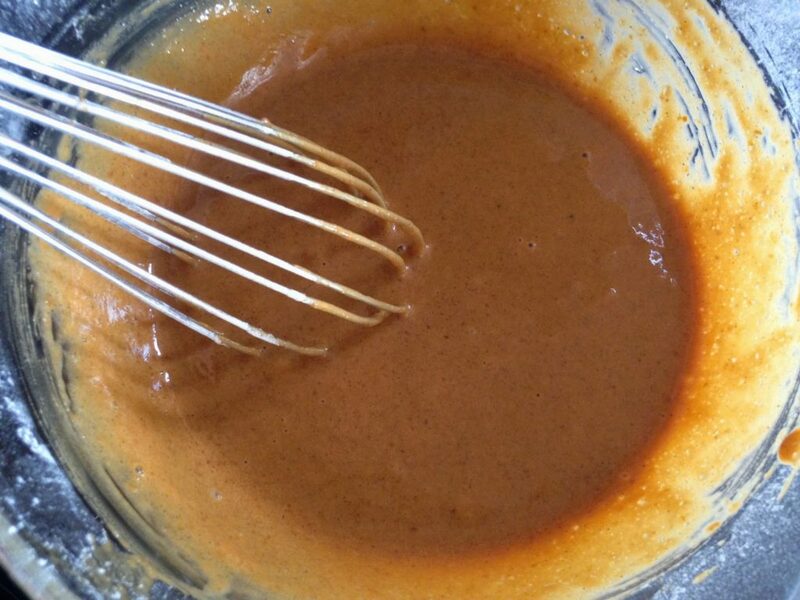 I sieved the dry ingredients into the pumpkin mixture and whisked to make sure there were no lumps. 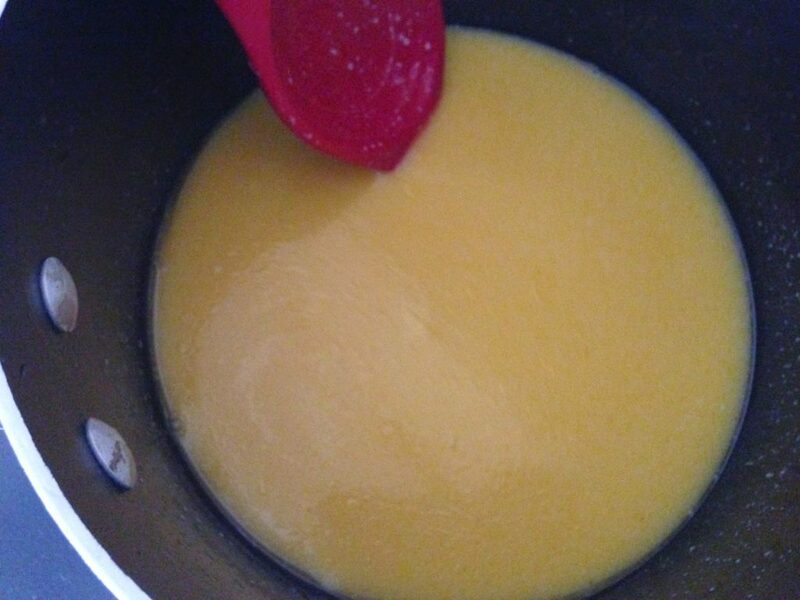 I poured in half the warmed milk, whisking as I poured. 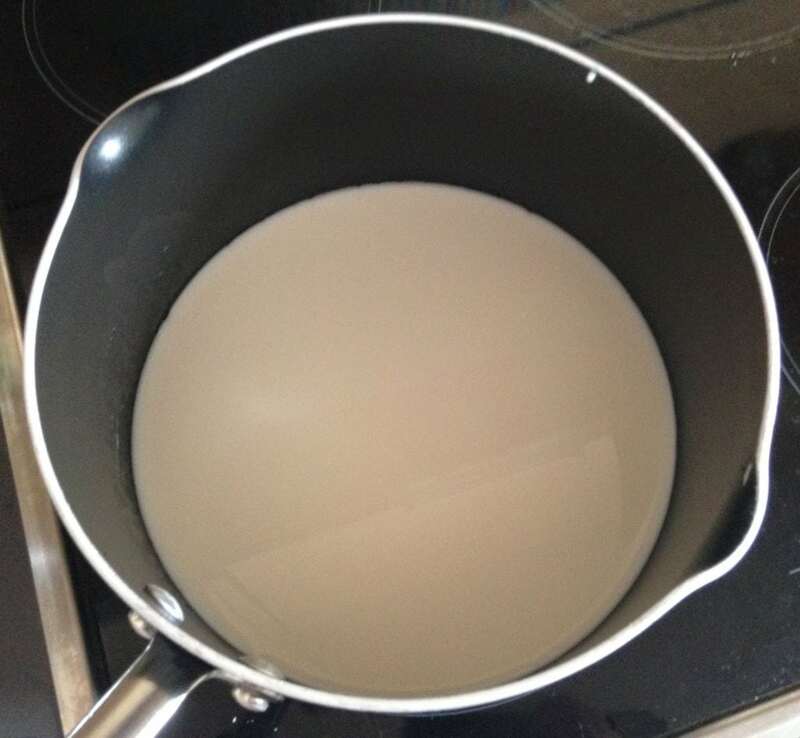 Then I poured the mixture back into the pan with the rest of the milk and heated it for about 4 minutes, continuously whisking, until it thickened. 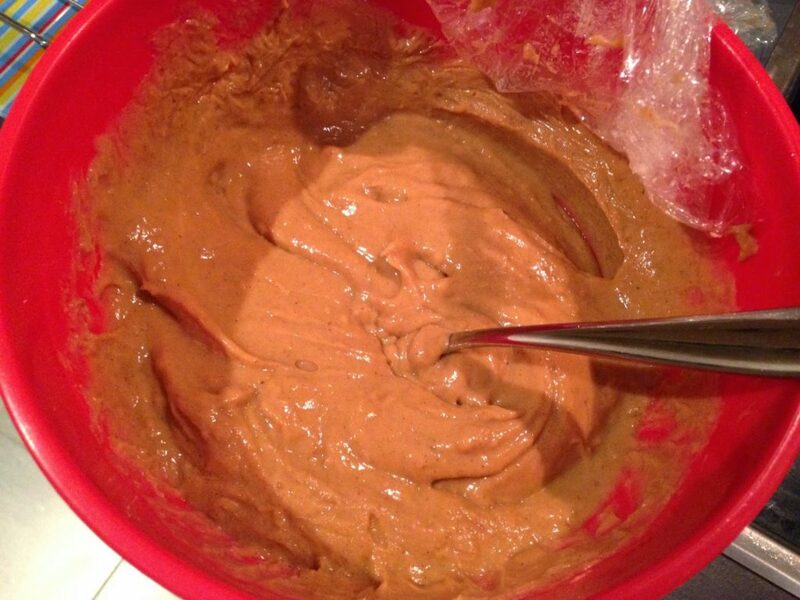 Once thick I put it in a bowl and covered with cling film. I made sure the cling film was pressed right against the custard, so a ‘skin’ didn’t form. I put it in the fridge to cool down completely. 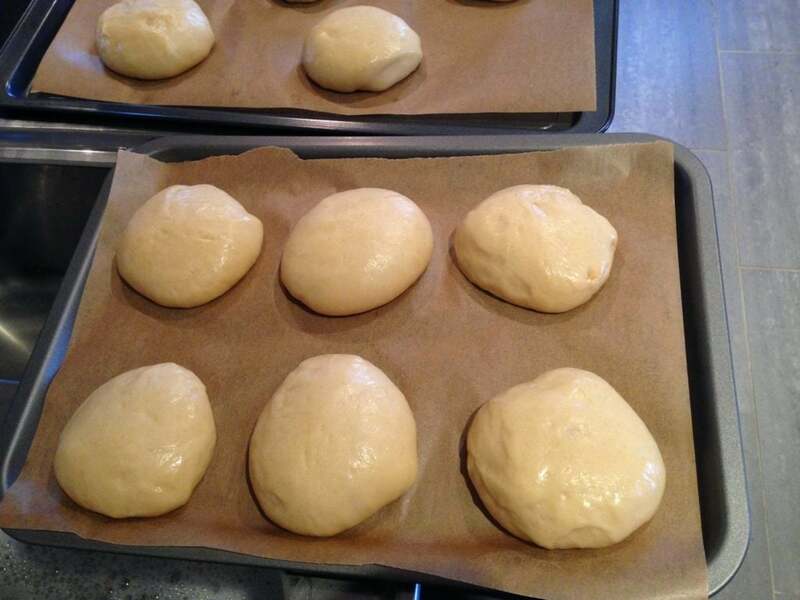 To make the dough I started by melting milk and butter. I left it to cool for 10 minutes covered with a lid until tepid, and added dried yeast and caster sugar. Then I mixed in eggs. 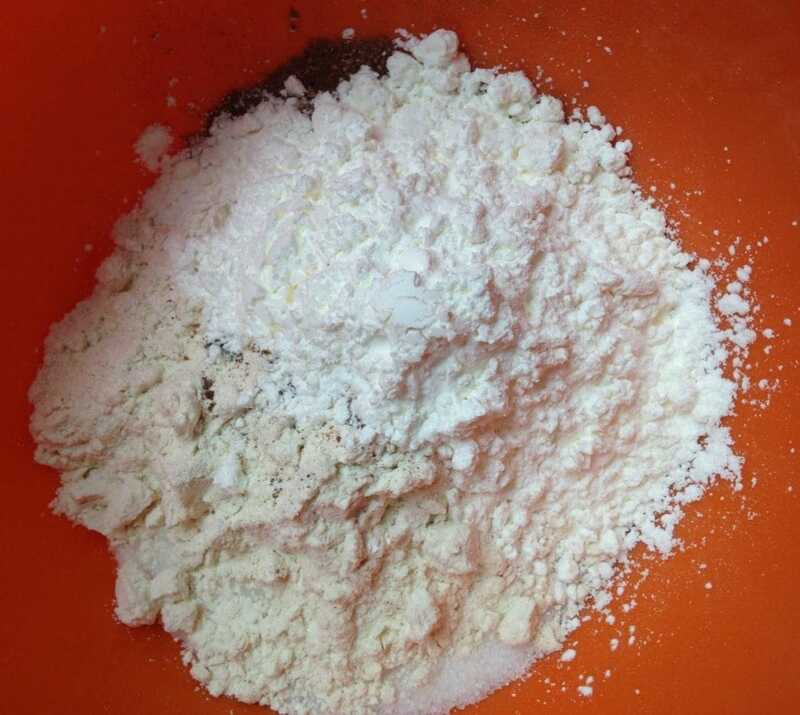 I weighed out plain flour and mixed in salt and caster sugar. 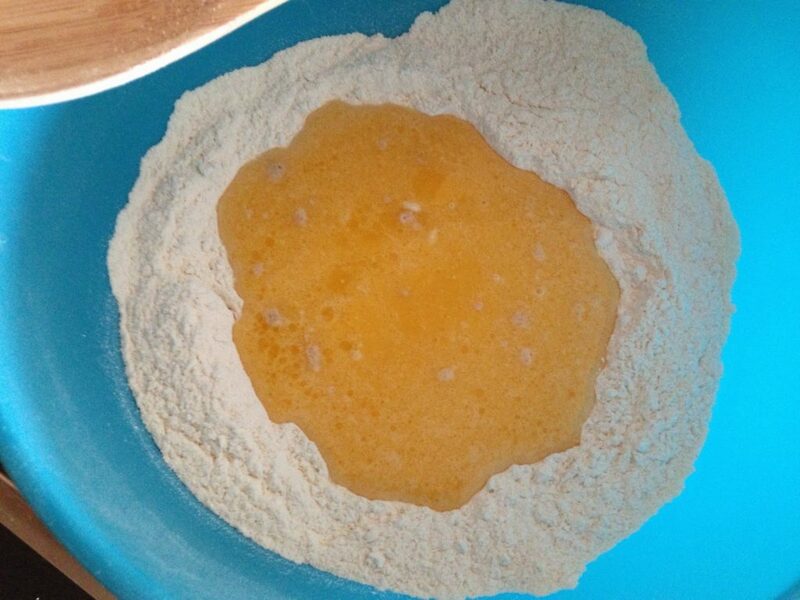 I made a well in the flour and poured the wet mixture in. 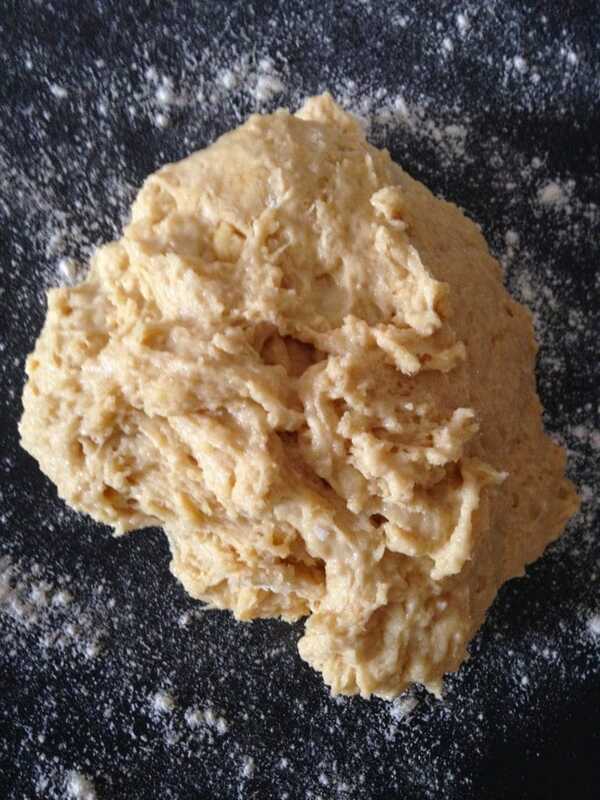 It formed a rough dough and I kneaded it for 10 minutes. It was pretty sticky so I oiled my hands. 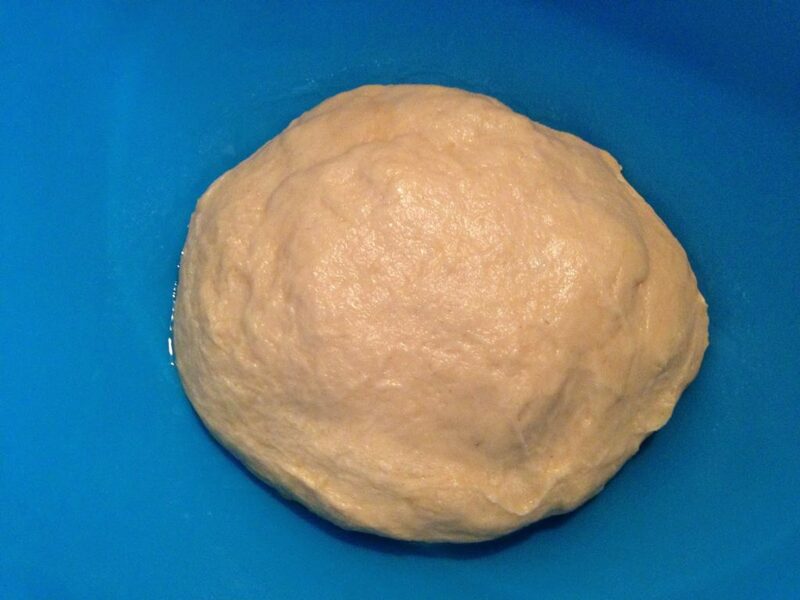 I placed the dough into an oiled bowl, covered it and put it in a warm place for 2 hours. After the first prove it had doubled in size nicely! 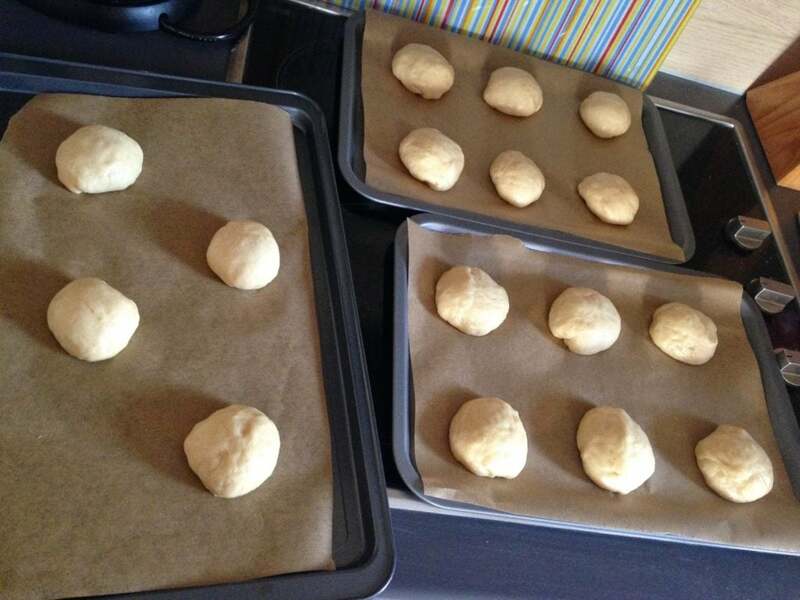 I split the dough up into 16 equal pieces and rolled them into balls. I covered them with loose cling film and tea towels and left them in warm place for the second prove. They rose again nicely, but they did stick to the baking paper so I would dust some flour on it next time. 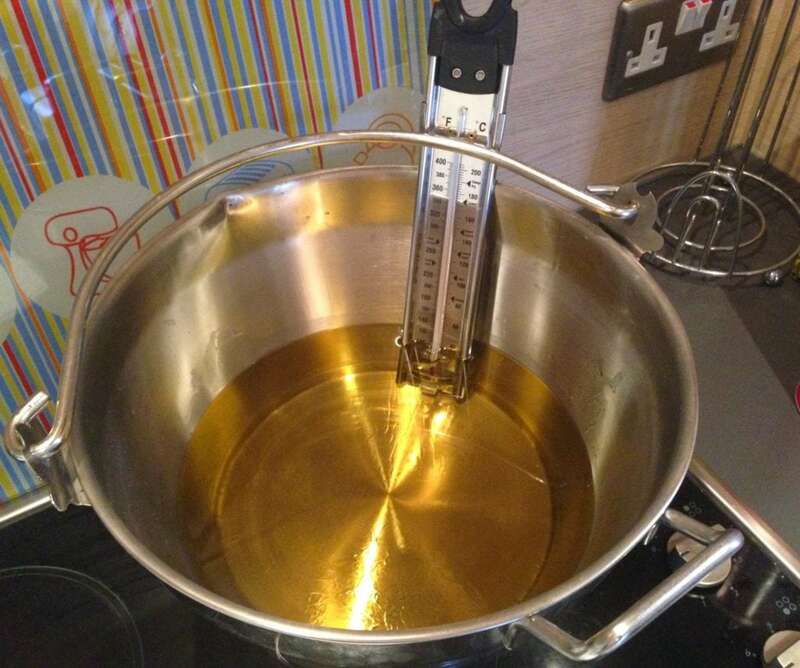 I set up the vegetable oil in a large jam making pan with a food thermometer attached. I heated it slowly until it reached 350F/180C. 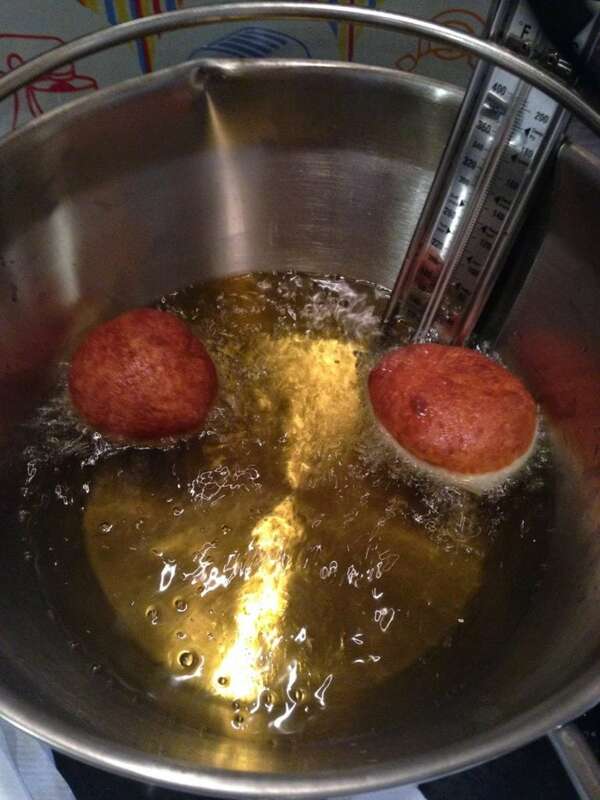 First, I tested a chunk of bread to check the heat was ready, then I gently placed two of the donuts at time in the oil and fried for about 1 minute per side until dark golden brown. I fished them out with a slotted spoon and put them on kitchen towel to cool down. I used a piping bag to fill the donuts with the custard once they were completely cool. 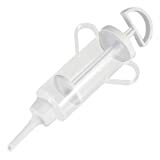 I punched a hole in the side and filled until the custard resisted or started to come out. 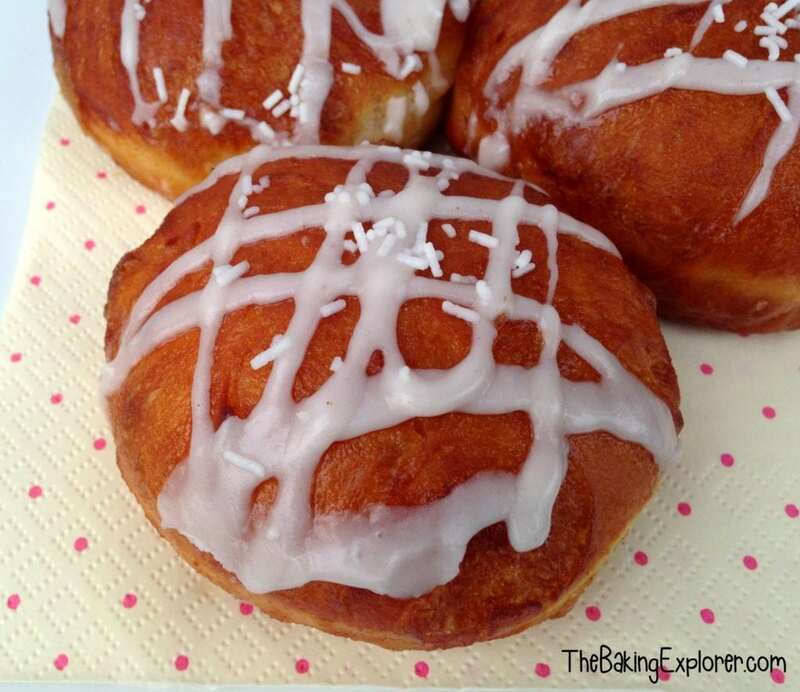 Then I iced the top with regular icing sugar mixed with a cinnamon and water. One of my most popular bakes yet, these Pumpkin Custard Donuts went down extremely well and my colleagues gobbled them up, I was breaking diets left right and centre! The Pumpkin Custard Donuts were very tasty, the cinnamon really came through and the dough was lovely and soft. 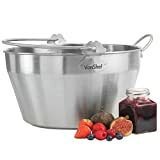 You could fill them with anything you want, jam of course is the classic choice. It is a lot of effort to make these, so I don’t know if it’s something I’ll do again soon, but they are definitely worth it for a special occasion or an indulgent treat!